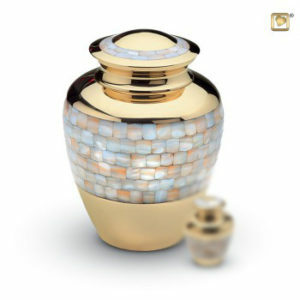 Beautiful Urn with Mother of Pearl inlay. An exact replica of the Adult Urn. Glossy polished brass protected with GlossCoat™ technology. Supplied in a velvet box. 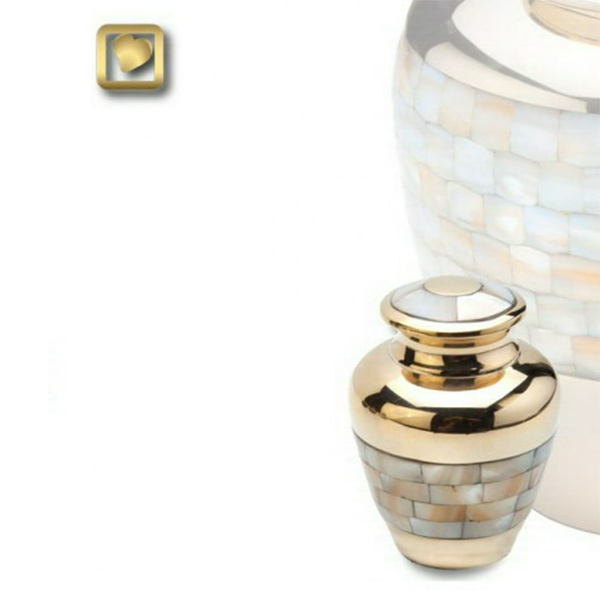 Please note: the keepsake products are not suitable to hold the full ashes of an adult.